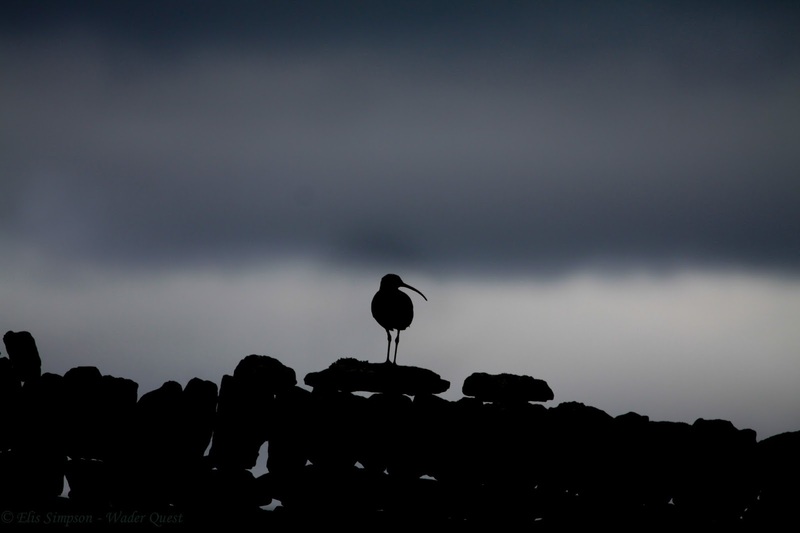 Wader Quest: Upland Wader Summit in Dartmoor. Upland Wader Summit in Dartmoor. On Friday 23rd March a conference entitled the Upland Wader Summit took place at the Two Bridges Hotel in Dartmoor. Its primary focus was the plight of the Eurasian Curlew in the UK and that of other upland breeding waders. The conference was attended by HRH The Prince of Wales and we were delighted, and indeed felt privileged, that Wader Quest was invited to this conference. The event was Chaired by Teresa Dent CEO of the Game and Wildlife Conservation Trust (GWCT) and the discussion moderator was Mary Colwell who has personally done so much to highlight the problems our curlews are facing in both lowland and upland scenarios across the UK and Ireland. Other delegates came from a variety of organisations including The Duchy of Cornwall, Curlew Country, Natural England, Prince's Countryside Fund, RSPB, Devon Wildlife Trust, Dartmoor Moorland Bird Project, BTO, WWT, Foundation for Common Land, Dartmoor National Park Authority, National Gamekeepers Organisation, Yorkshire Wildlife Trust, various owners, gamekeepers, estate and reserve managers, independent commentators, ornithologists, ecologists, ringers and field naturalists. 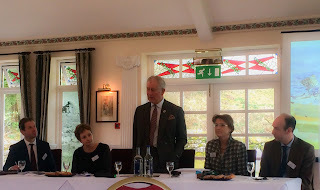 We were delighted to see old friends Mary Colwell, Tom Orde-Powlett, Amanda Perkins, Karen Lloyd, Robin Ward and Jill Warwick as well as meeting many new faces and finally meeting Peter Potts after much email correspondence in the past. 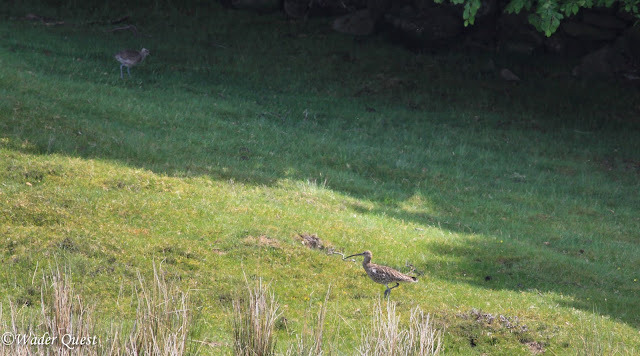 The upshot of all the discussion was that we have a geriatric population of Curlews. They are long lived birds and the survival rate of adults is good. The downward trajectory of the species is being driven by very poor breeding success. The reasons for this are, in the main, habitat loss or degradation, depredation and in some cases, such as is the case in Dartmoor where there is just one breeding pair, human disturbance pressure. Much science has gone into providing details around these facts and the general feeling was that the science is there, we know what the problem is, surely now is the time to act and delay no more, before it is too late. 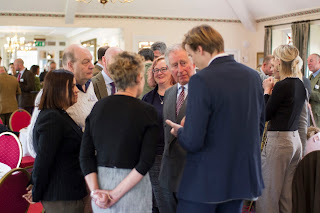 We would like to thank HRH The Prince of Wales and the staff at Clarence House for convening such a constructive event, The Two Bridges Hotel for hosting the event so well, and we also personally thank Tom Orde-Powlett for his kindness and support and above all Mary Colwell whose enthusiastic championing of the plight of the Curlew has brought all parties together. Brilliant to see you there! Well done. Thanks. Hope your latest adventure is going according to plan. Good luck.